Endoscopy Support Services: International Left-Handers Day! Then today is the day for you! 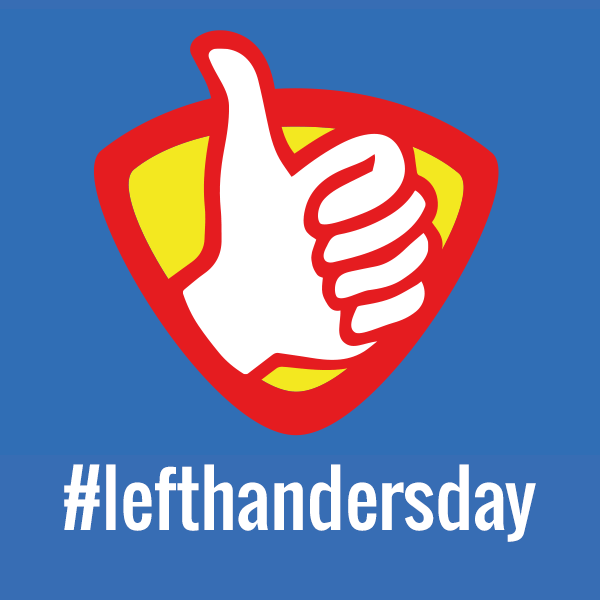 "On 13th August 1992 the Club launched International Left-Handers Day, an annual event when left-handers everywhere can celebrate their sinistrality and increase public awareness of the advantages and disadvantages of being left-handed. This even is now celebrated worldwide, and in the U.K. alone there have been more than 20 regional events to mark the day in recent years - including left-v-right sports matches, a left-handed tea party, pubs using left-handed corkscrews where patrons drank and played pub games with the left hand only, and nationwide "Lefty Zones" where left-handed creativity, adaptability and sporting prowess were celebrated, whilst right-handers were encouraged to try out everyday left-handed objects to see just how awkward it can feel using the wrong equipment! These events have contributed more than anything else to the general awareness of the difficulties and frustrations left-handers experience in everyday life, and have successfully led to improved product design and greater consideration of our needs by the right-handed majority - although there is still a long way to go!" While many people are left-handed, very few are 100% left handed. Lefties are also called "southpaws." The term was coined in baseball to describe a left-handed pitcher. Only about 10% of the population is left-handed. During the 1600's people thought left-handers were witches and warlocks. There is a rumor that octopuses have but one right hand. The Left-Handers slogan is: "Everyone is born right-handed. Only the greatest overcome it."